The landmark Castle Hill Resort and Spa offers a total of 55 heritage accommodations for guests. 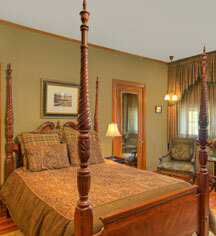 Ten rooms are located within the historic mansion and 45 units are located in condominiums throughout the resort. Period rooms feature antique and reproduction furnishings and are equipped with one king or one queen bed and a private bath. 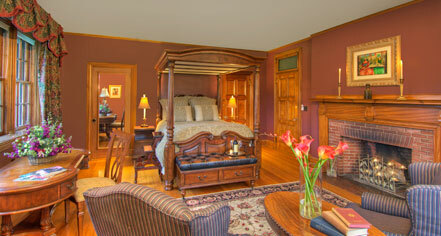 Six of the rooms have decorative fireplaces, three offer Jacuzzi® tubs and some have pull-out sofas. Town home condos are between 1,400 and 2,000-square feet and offer one, two, or three bedroom units with full kitchens, Jacuzzi tubs, dining room, living room with fireplace, and a washer and dryer.